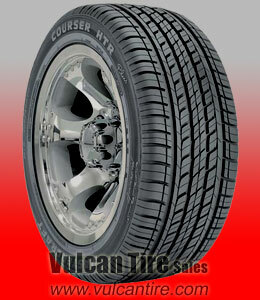 "Buying from vulcan tire sales was smooth and on time"
These Mastercraft Tires are Made in the USA by Cooper Tire Co.
A varied number of shoulder elements reduces noise frequency for a quieter ride. This design feature puts deep tread in the center and slightly shallower tread in the shoulders. This puts more rubber down in the fastest wearing part of the tire, the center. The result is less weight and improved wet handling. Mastercraft tires are manufactured by Cooper Tire Co.
Great Tires. smooth ride and low noise. Awesome tire to look at.